I received tickets to see an early preview of "Get Him to the Greek" the same day of the preview, and I pretty much begged one of my parents to go see it with me. 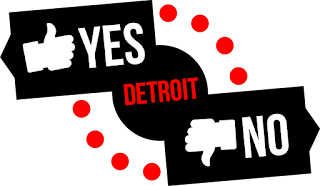 I knew it wouldn't be coming out in theaters until June 4th, so I was excited to see it so early, and my college, the University of Michigan, had done a very early screening a few weeks ago, which I didn't get to attend, so I had been wanting to see it. In hindsight, however, I should have stayed home. 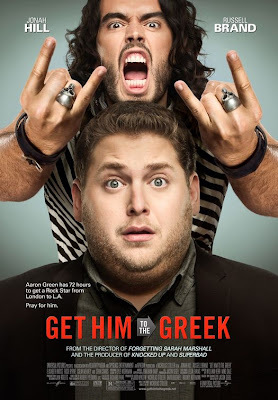 "Get Him to the Greek" follows Aaron (Jonah Hill, "Funny People"), an intern at a record company, who has just been given the biggest assignment of his life: retrieve rock star Aldous Snow (Russell Brand, "Forgetting Sarah Marshall") from London and get him back to L.A. for his 10th year anniversary concert at the Greek Theater. Aaron's boss, Sergio (Sean 'P. Diddy' Combs, "Monster's Ball"), warns him that Aldous is crazy and can be unpredictable; Aaron figures it can't be THAT hard to get him on a transatlantic flight to Los Angeles. He soon finds out, however, he is in for way more than he bargained for. The show stealer of this movie was definitely P. Diddy as the boss - he plays a crazy guy who is always calling Aaron and demanding to know if he has retrieved Aldous yet. 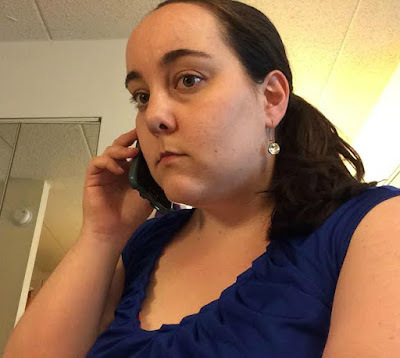 He also sends him amusing text messages such as: "You better get him to LA, motherf**ker!" with a :-) (smiley face) after. Jonah Hill was fine as Aaron, and Brand, being a rock star himself, was good as Aldous Snow. This movie is actually a spin-off of the movie "Forgetting Sarah Marshall," in which Brand also played Aldous Snow, which I didn't know until references were made to it in this film. I would say No, don't see this movie. It definitely has some some hilarious scenes - I appreciated the Vegas and London scenes, because I have been to both of those places - but unfortunately, the rest of the movie is bogged down with raunchy and/or boring scenes that sometimes even seem out of place in the film. The ending of the movie was more "moral" that I would have suspected, which isn't necessarily bad, but by then I was already bored out of my mind (evidence: I took a bathroom break mid-movie, which normally I hate doing, but I was so disinterested in the plot that I figured leaving for 5 minutes wouldn't matter). If you want to see a good Jonah Hill movie, try "Knocked Up" or "Superbad" instead. 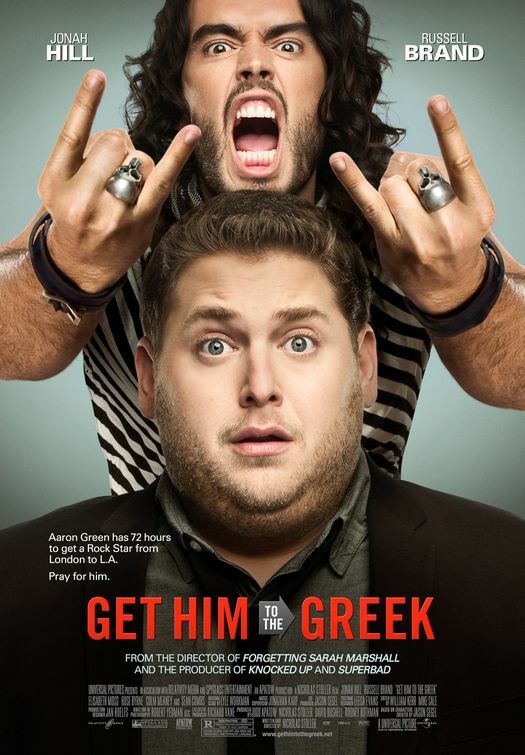 "Get Him to the Greek" premieres in theaters on June 4th.